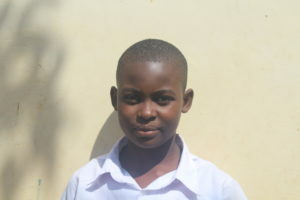 Prisca is 12 years old and is in class 7 at Magereza Primary School. She lives with her aunt and uncle who have taken care of her since she was five years old. 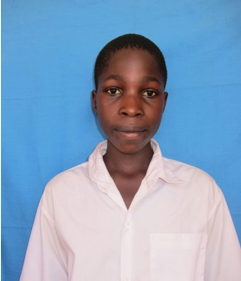 Prisca’s aunt and uncle have 6 children of their own, two of which are still young, while the rest are older and all attending school. 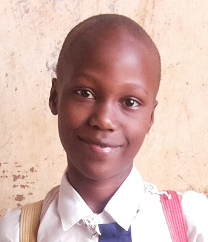 Prisca dreams of becoming a teacher when she grows up. 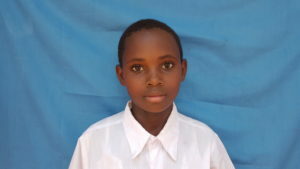 Rahel is 14 years old and is in class 7 at Magereza Primary School. She is currently living with her grandmother and grandfather. 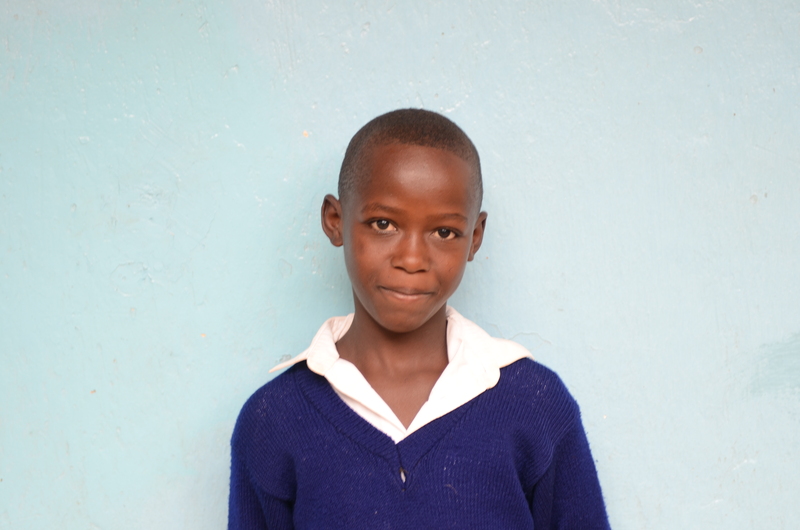 Rahel has several siblings, but she is not sure where they are currently living. Rahel’s grandfather provides the main source of income for the family as a day laborer, but he does not make enough money to pay school fees or provide uniforms for Rahel. She dreams of one day becoming a teacher. Family: Lives with Grandparents and sister. Father is deceased and Mother has left a long time ago. Challenges: Grandparents can’t pay school fees and school supply. She only gets one meal a day. Eveline is 14 years old and is in Form 1 of Korongoni Secondary School. Her mother passed away during childbirth and her father passed away shortly after by drowning. Eveline currently lives with her aunt and her cousins. She has two siblings, but does not live with them as her aunt is unable to support that many children. When Eveline grows up, she wants to become a nun. 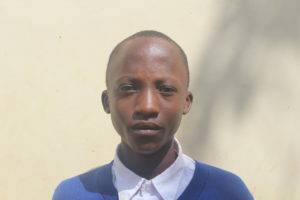 Fredrick is 15 years old and is in Form 1 at Korongoni Secondary School. He lives with his grandparents, who he has lived with his whole life. When Fredrick was a baby, his father passed away and his mother left the family and has since remarried. His grandparents do not have a stable form of income and have therefore had trouble consistently paying for his school fees. Fredrick aspires to become a doctor. Irene is a 15 years old girl. 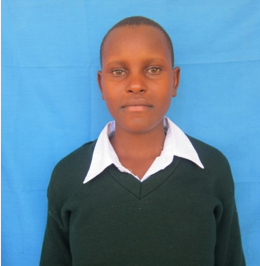 She is currently in form 1 at Korongoni Secondary School. Her birthday is on the 21th of August 2002. She’s living with her grandparents because her father passed away when she was young. Besides her mother has remarried and is no longer supporting or contacting her. Her grandmother is 56 years old while her grandfather is 61 years old. Both of them are suffering from bad blood pressure. She is the only child in the household. The grandparents possess their own land. Because they don’t earn enough money they had to sell half of the land to a rich man. They use the rest of the land to farm but when the harvest is weak, food is sparse. The family is currently living on the back of the house of the rich man. There is no electricity and room to study. They live from the money they got from the rich man when they sold half of the property to him. They only take crude breakfast and dinner, consisting of ugali (maze flour porridge) with beans and sometimes rice. After school Irene has to help her grandparents washing dishes and cleaning the house, after that she can study. Isaac lives with his grandmother and his father who is mentally ill, The mother abandoned Isack and the father when he was young because she could no longer deal with his fathers illness, she took two of their three children with her to Tanga and Isaac remained with the father, Father was a policeman but his mental instability got in the way of his work, He still receives a pension from the government and uses it to support both his mother,Isaac and the two children who lives in Tanga. Isaac wants to be a police officer when his growing up.